From long experience, this has always been a popular subject for a perpetual thread. Favorite live streaming station: WFUV Radio (90.7 FM). We tune every station in the house and cars to it by default. Most recent track: Primrose Green by Ryley Walker <- A talented guitarist, and an introspective voice like Alexi Murdoch or Nick Drake. I have not listened to the radio for some time! If you can you should try bbc radio 6. Easily the best station I have ever heard. Thanks for the tip, I just bookmarked BBC 6. I have a 500w stereo in my DR that's WiFi compatible with my smartphone, so when I live stream via the web on my phone, I can fill the whole house. someguy1 » April 6th, 2015, 8:59 pm wrote: The voices in my head. 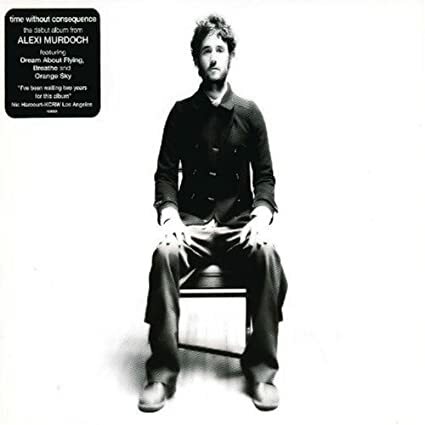 Meanwhile, I'm listening to Alexi Murdoch's Time without Consequence album off the computer. Finally can get radio 6 out here!! Listened to Iggy Pop show last night ... weird and wonderful! Scorsese's concert film "The Last waltz," of The Band's last gig, with many guests....quite a show. Yeah, Alison Kraus...listening to her with Union Station the other night...have to check out the Plant collab - I think those voices would blend extraordinarily. Weirdest imagined collab: Van Morrison and John Fogarty....like two buzzsaws pitted against each other. This is a piano goddess, playing Liszt's "la Campanella." For musical content delivery, I'm a big fan of Spotify (official website). Currently they offer a free service and a "premium" (paid subscription) service. etc., so it's a really great application. You can sign up once and download it to your computers, cell phones, tablets, etc., though I believe that they try to limit the number of devices that can play music on a single subscription. I don't know how they limit the number of offline devices; they may just not have a limit for offline playing (which hopefully won't be exploited because being able to listen offline is a great feature). The OP started with a link to WFUV Radio, whereas I prefer Spotify so I linked it. Do you feel that this was inappropriate? If so, I can remove the link - I'll just lose the 20 cents off my subscription each time someone uses the promo code "NCESentMe". Some of us gotta make a buck ya know. LOL. Heavens, I need to put JK after my postings like that. Was totally kidding. No worries, I mostly just wanted to be silly too. This forum's kinda my one place to screw around right now. Also I was personally offended by your accusation that I'm working for Spotify. I would consider us square if you'd sign up for a premium subscription waiving the free-trial period and then provide feedback to Bob McSupervisor clarifying that NCE is the best sales rep ever. Done. I went with the Ultra Platinum/Iridium plan, where Sting comes to your house and lulls you to sleep with his Elizabethan lute instrumentals. I mentioned you to Bob and he said, "Who's Nat Cheme?" https://m.youtube.com/watch?v=-sGfB-Y1EfY Anyone else a fan of EDM? Great workout music! this gal does fats waller right! The sound of my fan in my room and the traffic outside. Lately quite a lot of Prince. Awesome performer and inspiration to many. Sad he's gone. Bowie AND Prince! If Bjork and Thom Yorke pop their clogs anytime time soon I'll be really pissed off! Enough is enough. Who do you think there is today to fill their shoes? Who will be the future Bowie and Prince? Today it's Schubert's Great Symphony in C.
How can America be made Great? - Create a safer place for all non-racists that are disaffected/disappointed with Liberal and Right wing politics/ideology, where representatives can give a rational public voice to their discontent without them being condemned to the point they feel so alienated it drives them into the waiting arms of the White Nationalist Party aka the Alt-Right, thereby polarizing society into the two extremes in a dangerously divisive way. - Make Fake, or unreliable news outlets redundant: Introduce an Oath for Journalists and establish a high profile, independent, non-profit media-watchdog organization the membership of which can signal a standard to the public that they can have confidence in, a stamp-mark of which has to be won before being allowed to use it as a header, logo or badge. (Similar to a royal standard award logo). Have this regulator hold annual award ceremonies in the same way the film industry do and keep it completely separate from politics or any political organization in the same way that Doctors are expected to be.